More than 1.4 million people are expected to welcome the Year of the Pig during the City of Sydney's Lunar New Year celebrations next month. In the vibrant and bustling Chinatown precinct alone - the heart of the festivities - around 300,000 people are expected to visit to delight in the sights and sounds of traditional Chinese culture while welcoming in a new year full of prosperity and good luck. 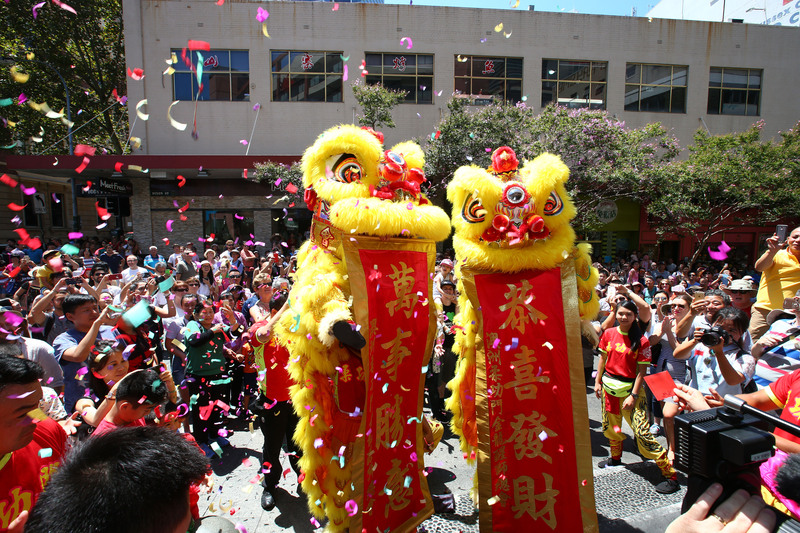 Celebrating Lunar New Year in spectacular fashion, the Haymarket area along Dixon Street and its surrounds will come alive with dazzling lion and dragon dances, lantern displays, colourful markets and fabulous food. "Sydney's Lunar New Year Festival is the largest celebration of its kind outside of Asia," Lord Mayor Clover Moore said. "It's always an honour to share the festivities with our local Chinatown community and businesses, making Lunar New Year an exciting experience for visitors and Sydneysiders alike." There's something for everyone in Chinatown's Lunar New Year festivities, including neighbourhood markets, giant lanterns and glowing street parties. With plenty of drumming, flamboyance and skill, the traditional lion dances in Chinatown are not to be missed. Lion dancers will weave good luck blessings throughout the streets while a performer dressed as the Chinese god of prosperity, Choi Sun, will hand out red packets for a year of good fortune. The sounds of the Chinese gong and the thunder of red fire crackers will help scare away the bad fortune of the previous year and ensure a happy and prosperous Year of the Pig. Organised by the Dixon Street Chinese Committee, the lion dances will take place on Thomas Street at 6pm and 6.30pm on Fridays and Saturdays throughout the festival. 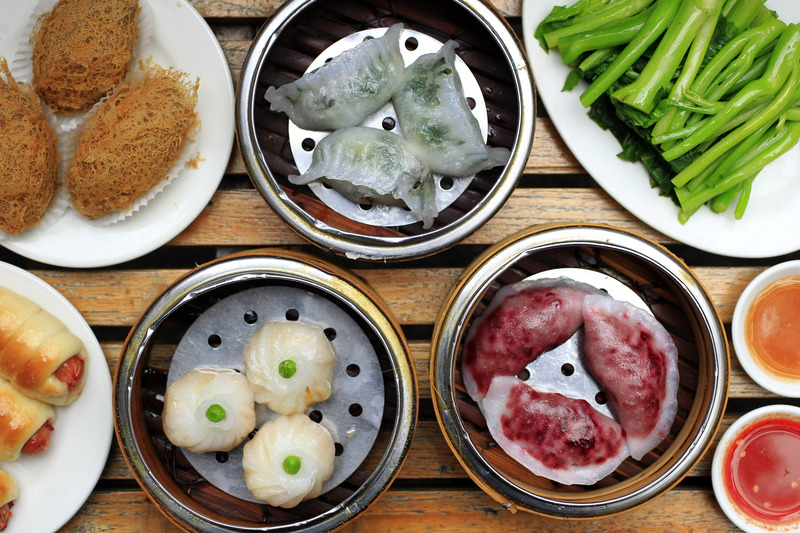 The Lunar New Year calls for a feast - eat noodles for longevity, dumplings for wealth and dessert for a sweet year. There are a host of delicious food events to whet your appetite. With all the colour and excitement of an Asian marketplace, Chinatown and Haymarket offer an enticing mix of restaurants, noodle bars, food halls and shops and markets full of bargains. 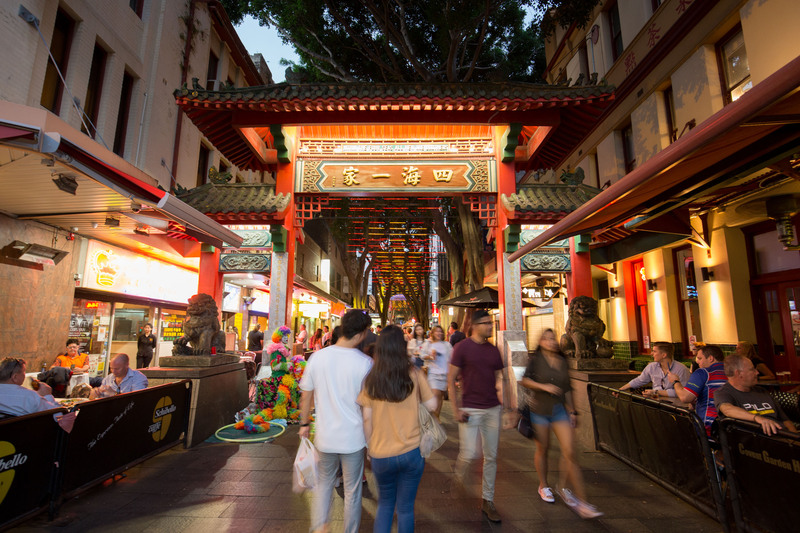 The Chinatown Night Market transforms Little Hay Street with an array of multicultural cuisines, beckoning food lovers on a journey with tastes from Hong Kong to Hanoi, with yum cha, tepanyaki, takoyaki, sushi, Sichuan, pho and more. Foodies can also treat themselves to a Chinese New Year banquet from one of Chinatown's renowned restaurants such as Golden Century, Marigold, or The Eight. Extravagant feasts will be on offer at many of Chinatown's famous restaurants, with everything from lobster, suckling pig and abalone to Cantonese-style roast chicken and whole steamed coral trout, a symbol of prosperity. The Eight restaurant will offer its signature yum cha, glutinous rice cakes, parsnip cake and dried oysters with black fungus - all symbolic dishes that allude to prosperity, luck or health. Chinatown's new small bar Banchō will ring in the new Lunar Year with celebratory cocktails all through the festivities - such as the New Year Sour, served with a lucky red packet on the side, and a special Year of the Pig cocktail with a side of pork crackling. In auspicious colours of red and gold (and pink for Year of the Pig), Chinatown will be decorated from 1 to 19 February. This includes Lunar New Year's Day on 5 February and Lantern Festival day on 15 February - the official final day of the Chinese New Year celebrations. Dixon Street will feature a spectacular curtain of hundreds of Chinese lanterns suspended over the heart of Chinatown. 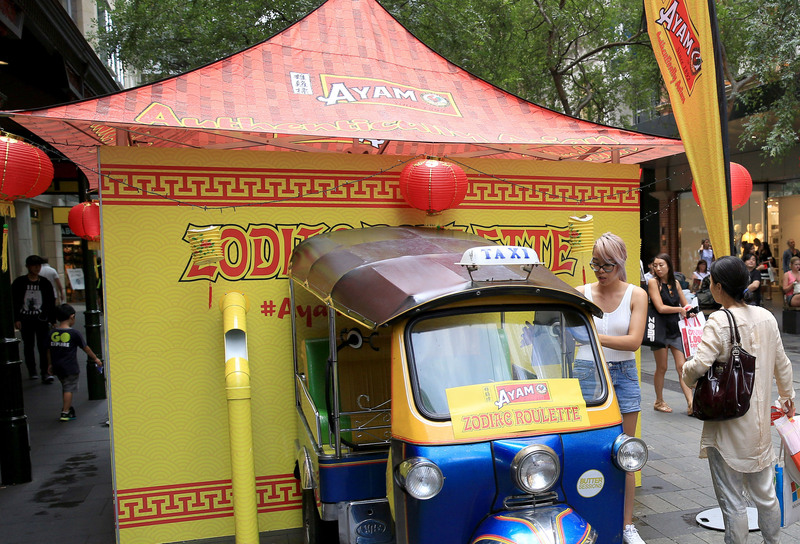 Visitors can have a go at the AYAM zodiac roulette at Dixon Street Mall to discover their 'destiny dish' and receive a personalised horoscope prediction for 2019. Participants will also receive an AYAM ingredient and recipe to make their destiny dish at home. Join curator Mikala Tai and academic Paul Gladson for a tour of the Xiao Lu: Impossible Dialogue exhibition followed by a congee breakfast at a local Haymarket restaurant. Impossible Dialogue is the first retrospective of leading contemporary Chinese artist Xiao Lu, who once infamously fired a gun at her own art installation to express her interest in deep emotion, extreme action and chance. The exhibition presents significant performance works by Xiao Lu including a new commission that explores the artist's ongoing connection to Australia. Produced and presented by 4A, leaders in Asian contemporary art in Australia, the tour will be held on Saturday 9 February at 10am-12.30pm, departing from 4A Centre's studio on 181-187 Hay Street. To celebrate the Year of the Pig, get up close and personal with the 3 (not so) little pigs sculpture at World Square. Experience the whimsical dancing pig installation come to life in augmented reality that will get you movin’ and groovin’ in no time. Bring on the good luck and prosperity with a traditional Lion Dance on 5 February at 1pm.